Do you have a special glass that you always drink from? Do you blend up a fresh batch of margaritas or daiquiris in your frozen concoction maker and always pour them into your favorite cup? Well if you do always reach for the same cup or style of glass, it may say something about your personality. Check out what each beverage container may say about you. The classic margarita stemware is popular for a reason. The unique wide glass allows you to slowly sip your frozen cocktail while getting plenty of salt or sugar. Also, there's plenty of room for festive garnishes. If a margarita glass is your go-to, you like like to party in style. The glassware is classy and practical. It's the best way to drink a margarita and look good doing it. 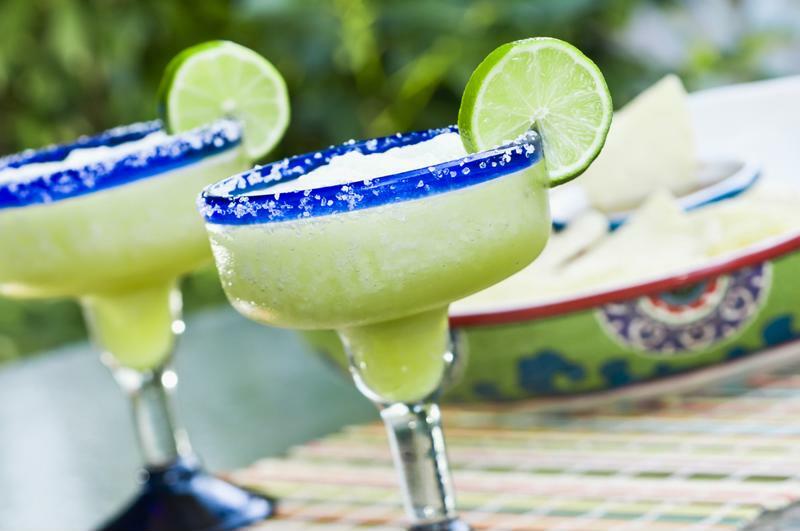 Margarita glasses are designed for this signature beverage. If your favorite cup is an insulated mug with a straw, you're the Parrothead on the go. You're likely to be partying at tailgates, beach parties and anywhere a margarita is being served. Just because you're always ready to party doesn't mean that your aren't smart too. This option keeps your frozen cocktail cold and gives your drink a little more of a personal touch. If you're partial to a plastic party cup from a vacation or tropical destination, then you're ready for whatever might happen. These cups are festive and fun, but they're also durable and work both indoors and out. You're the kind of person who's just as happy sipping your drink while you're relaxing in a hammock or leading the conga line. The hurricane glass is perfect for any tropical beverage. It's glass, versatile and showcases your beverage. It's the cup of an adventurer - someone who isn't afraid to try a new cocktail or take a trip to a foreign island.